WASHINGTON (CN) – Describing a shroud of secrecy over the death of Democratic National Committee staffer Seth Rich, a Virginia-based group brought an open-records complaint against D.C.’s mayor and attorney general. 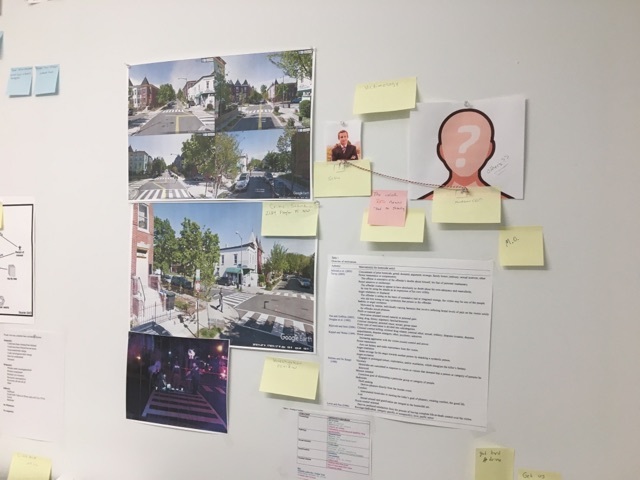 Noting that the investigation of Rich’s unsolved July 2016 murder dried up months ago, the Profiling Project says there is no reason for the D.C. Metropolitan Police Department to keep a lid on surveillance footage from the area, or the medical examiner’s and forensic ballistic reports. After Rich was shot twice in the back on July 12, 2016, a block from his apartment in D.C.’s Bloomingdale neighborhood, police suggested that the 27-year-old might have been the victim of an attempted robbery. At the height of the presidential election season, a conspiracy theory emerged that Rich was connected to the dissemination of DNC emails to WikiLeaks, and killed because of it. WikiLeaks offered a reward for information about Rich’s death, but it has never confirmed that Rich was a source. The Profiling Project’s lawsuit comes a few weeks after Fox News gave airtime to unsubstantiated claims by private investigator Rod Wheeler that Rich’s laptop was in FBI custody and contained evidence of a WikiLeaks connection. Rich’s family, which denies the WikiLeaks theory, told the Washington Post recently that they have noticed recent attempts by hackers to infiltrate Rich’s email accounts. The group says there is no reason for D.C. to keep a shroud on surveillance footage captured by a camera on the second floor of Fragler Market, a convenience store near where Rich was shot. Though the group says its requests have gone ignored, the complaint is not clear on whether the request came from a formal Freedom of Information Act demand. “The information is necessary in furtherance of the role of Jack Burkman as a watchdog to ensure accountability with legal requirements by the police and to protect and defend the constitutional rights of those who wish to engage in political and associational activity protected by the First Amendment,” the complaint states. The Metropolitan Police Department did not respond to an email seeking comment on the lawsuit. Burkman represents the Profiling Project in the case and did not provide comment when reached by email on Friday. U.S. intelligence agencies have said the hack of DNC emails last year was directed by the Russian government in an attempt to help Donald Trump win the election.